Setting up backups is critical to every business these days. Just like your car, any machine can fail. Failure and loss without a backup is a true nightmare. Avoid that nightmare by partnering with us for your data protection needs. Hard Disks fail. Even the newer technology solid state drives go out or stop working. 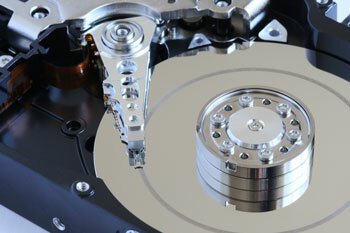 Nothing is worse than losing months or years of work to hard drive or hardware failure. This can destroy a business if you don't have backups in place. Our managed IT solutions provide preventative maintenence to prevent downtime due to the inevitable machine failure. A business is only as safe as its backups or backup plans. We can turn something normally disasterous into a small inconvienence by being prepared ahead of time. Whether we use a software solution or a simple copy on to another drive, we'll make sure you are covered in case of a disaster. In case anything goes wrong, we'll get your system running quickly. We will periodically test your backups and can run a mock disaster or failure for your business..
What would happen if a huge storm or fire destroyed your server or systems? How would you get back up and running or get back to work? If you can't answer these questions or don't have a plan in place, you need to talk to us. We can help you develop plans for emergencies for even simple tasks like order of activities and contacts.